White blood cell. Coloured atomic force micrograph (AFM) of a leukocyte (white blood cell) on an endothelial surface. White blood cell are part of the body's immune system, defending the body against infection. 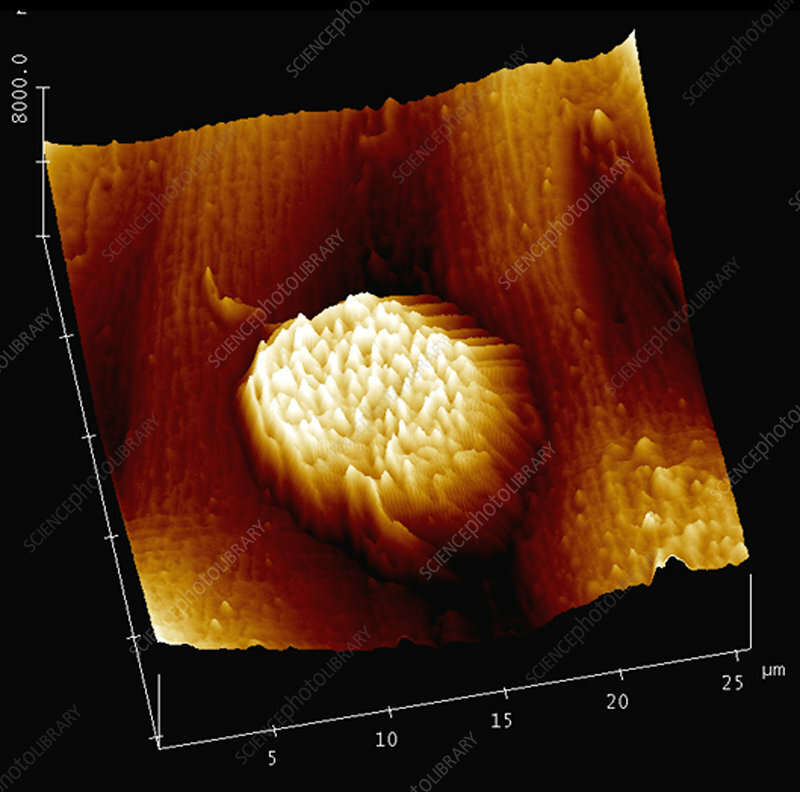 An atomic force microscope is used to study surfaces at an atomic level. An extremely fine spring-mounted probe is moved across the surface at a constant height. Any deflections are recorded and converted into a computer map of the surface. Magnification: x4000 when printed at 10 centimetres wide.